It’s official. Low energy total diet replacements work. 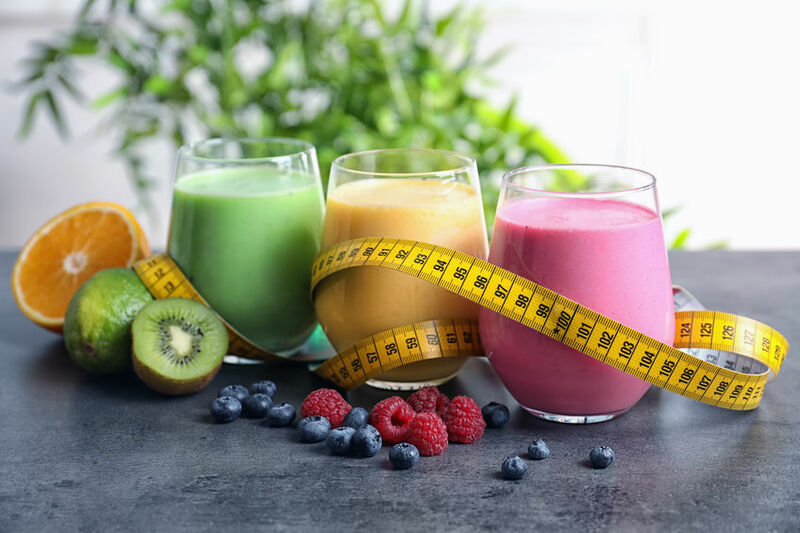 These are the very low calorie diets (VLCDs) where you replace all food for a short period of time with specially formulated soups, shakes and bars. Add in 750ml of skimmed milk, 2.25 litres of water or other low or no energy drinks and a fibre supplement and the total 810 kcal/day meets all your nutritional requirements. These have been around some thirty years, I hear you say. Why the big fuss now? Basically everyone’s talking about the results of the DROPLET trial (‘doctor referral of overweight people to low energy total diet replacement Treatment’), published in late September 2018 in the BMJ (1). The study compared weight loss results from 278 overweight adults in Oxfordshire randomly trialling two methods. One group used a total diet replacement programme (TDR), the other used the ‘usual care’ offered by GP practices for people wanting to lose weight. Both programmes included behavioural support, the first provided by the commercial company offering the TDRs, Cambridge Weight Plan UK, and the other provided by practice nurses. · The ‘usual care’ group lost 3.1kg. · 15% of the ‘usual care’ group. Now this doesn’t mean that people stayed on the TDR programme all that time. The TDR was only followed for 8 weeks, then normal food was reintroduced. From months 3 to 6 people were supported with weight maintenance. · Practically Slim meets all best practice standards following NICE guideline 43 (Obesity: guidance on the prevention, identification, assessment and management of overweight and obesity in adults and children). We’re here for you. Because we’ve believed in this stuff all along and we have the know-how to help you lose your weight your way. Contact Heather@practicallyslim.com today to see how we can help you. This Practically Slim article contains copyrighted material the use of which has not been specifically authorized by the copyright owner. It is used as part of Practically Slim’s efforts to advance understanding of issues of public health significance. We believe this constitutes a ‘fair use’ of the material and is in accordance with the license quoted above.